At Smile Solutions Dentistry, we’re focused on always going above and beyond for our patients! 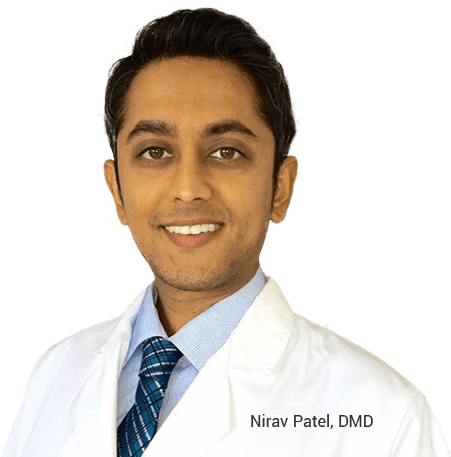 Our Palm Beach Gardens dentist, Dr. Patel, is a young doctor with lots of experience, and you can count on him being in the area for many years to come, growing with your family and making a long-lasting difference in your oral health. 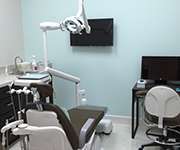 We offer a wide variety of general and specialized treatment options, and our modern, conveniently located dental office is always open to walk-ins and emergency cases. Everyone deserves to enjoy a healthy, confident smile that’s backed by quality dental care. Here in Palm Beach Gardens, we’re happy to accept a wide variety of insurance plans, and any necessary paperwork will be filed by us on your behalf. No insurance? Low-interest financing plans are an affordable alternative. Dr. Patel’s trusted assistants can provide valuable guidance and information throughout the payment process, helping you to understand your options and what works best for your personal needs. It’s never too late to regain your full, happy smile! Dental implants provide patients with revitalized health, long-lasting strength, and an exceptionally natural look. 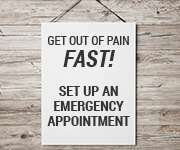 Better yet, Dr. Patel can both place and restore them right here in-office. Have you developed wrinkles over time? With Botox, you can take years off of your appearance in a matter of minutes! Let Dr. Patel change your life and give you back the confidence and appearance you've always wanted!